This might be the most exciting partnership I have ever done here on the blog. 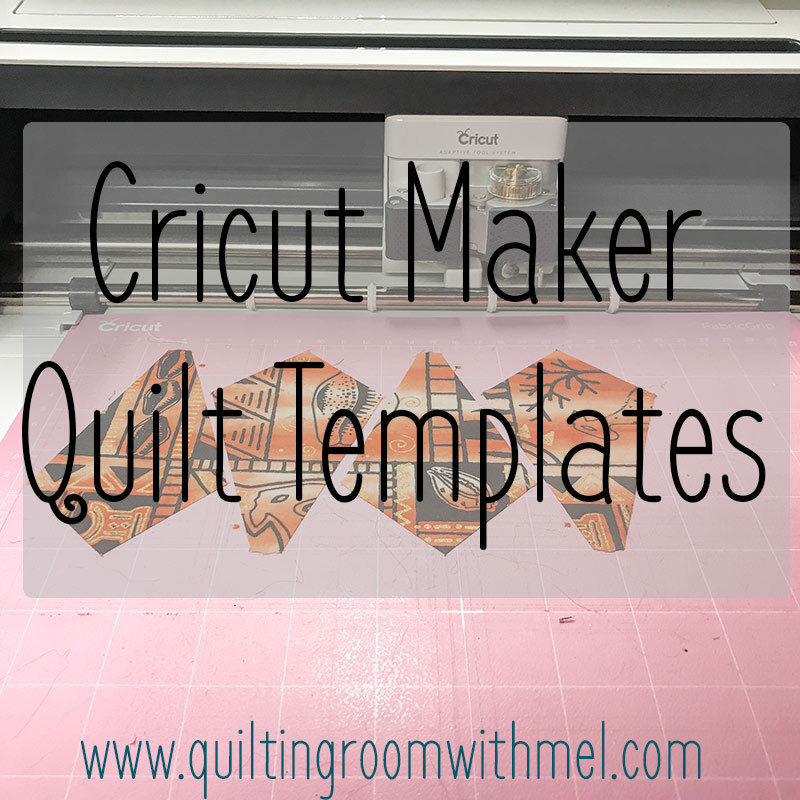 I knew when I first saw the Cricut Maker it was going to be a great tool in the quilt studio. When putting together a Christmas wishlist for quilters this was on the top of my list. Cricut was kind enough to let me play with one and let me tell you, it was everything I thought it was going to be. It makes cutting odd shapes that we normally need a template for a breeze. 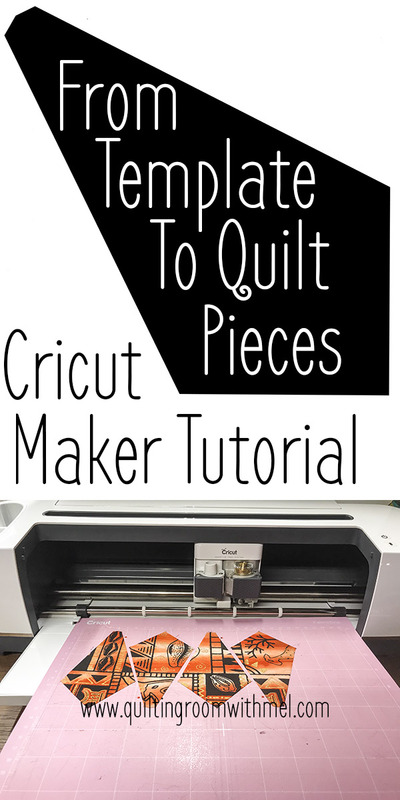 As long as, you can get it to your computer you can have the Cricut Maker cut all those quilt templates for you. No human error! 9 times out of 10 the problem with a quilt block that uses a special template is we goof when cutting it. I've had my Cricut Maker for a few months now. I wanted plenty of time to work with it before I shared it with you. There's a lot of tutorials on the Maker out there. I wanted to make sure it was useful for the average quilter. That you and I would use it more than once in a while. It's an investment and investments should pay for themselves. I'm here to tell you, it's worth the price tag. My local quilt shop does a block of the month every year. This year's block had two blocks in it that required a template set. They had found one I could buy but I didn't order one. I couldn't think of what else I would be doing with them. The templates were in the back of the book I would just draw them out, old school. Well, this summer the first block that needed the template rolled around. I carefully traced it onto template plastic and caused myself a few gray hairs. That plastic slips no matter what you do and no matter how careful you are you are bound to be just a smidge off somewhere when cutting those weird angles. The other block that uses the templates, they are a kite shape, is this month. I got smart and used my Cricut Maker to cut those quilt template pieces out. I scanned the templates with my printer. Once they were on my computer it was super easy to get them into Cricut Designspace. Ready to watch it in action? Wasn't that easy? The hard part was getting the template from the book to my computer and that wasn't really that hard. I had to push two buttons on my printer and send it to the right computer. We have more than one computer so I might have sent it to Paul's computer and not mine. If you would like to get yourself a Cricut Maker for Christmas you can get one from Cricut and they typically have the best deals. It is their product after all. You can also keep your eyes on my Facebook page, I will be sharing the deals there. Use coupon code FREESHIP49 to get free shipping. Before cutting fabric, cut paper. We all have scrap printer paper laying around use it to make sure you have everything right. It's so much cheaper to goof paper than it is to goof fabric or vinyl. Get yourself an extra fabric mat or two. It really makes cutting a full quilt out much easier when you can load the next mat without having to clear the mat first. Also get yourself a dedicated toothbrush or nylon brush to clean your mat. Some fabrics leave behind strings and when there is too many of them the fabric won't stick anymore. When that happens just use your brush, warm water, and your bathtub. You want to clean your mat on a flat surface and the tub is the only thing I have that is big enough to do that. Have fun!!! The Maker does so much more than just cutting out our quilt templates. I've made myself some shirts, a welcome sign, and have a bunch more projects on my to-do list. I've wanted a Maker for a couple of years now, you make it sound simple! I'm not computer savvy with this sort of thing but I think I could do what you described. Thanks! It really as easy as pushing the scan button on your printer. Once it's on you computer you just follow what I did.